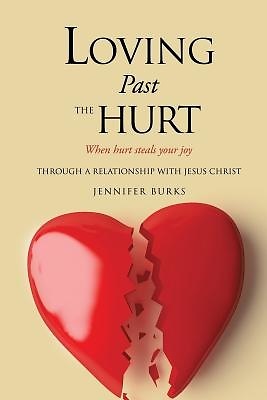 LOVING PAST THE HURT Loving Past The Hurt has been a tremendous undertaking, one that we are called by God to do. When we face our hurts we begin the healing process. Through this process you not only free yourself but you free others  You grow spiritual and mentality  You have clearer vision  You lose Satan from his hold on you  More importantly you are able to live the life God intended A real relationship with Jesus Christ is the only way to Love past the hurt successfully. He is a healer, sustainer, and deliverer. You can have a life free of hurt, guilt and shame. Knowing who you are in Christ is freedom alone. Sis Burks currently resides in Jonesboro Georgia Burks favorite saying is H.A.L.T. Don't make any decision when you are H-hungry, A- angry, L-lonely or T-tired. Favorite scripture, Jeremiah 29:11 For I know the plans I have for you said the Lord plans to prosper you and not to harm you plans to give you a hope and a future.